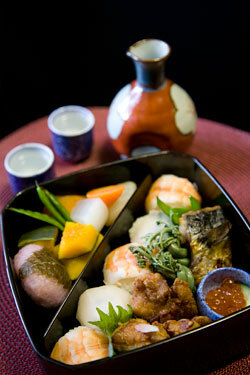 No Cherry Blossom viewing party is complete without colorful hanami bentos. Specially prepared by professional chefs and home cooks throughout Japan for their customers and loved ones to enjoy during this important spring festival, these delightful bento boxes are brimming with the bounty of the season. They are meant to represent not only the cherry blossoms, but the arrival of Spring, so pink, red and orange hues predominate. 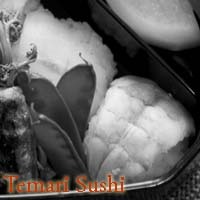 Thus, the bentos might include shrimp, salmon and sakuradai (pink sea bream) sushi, simmered kabocha (pumpkin) and carrot, and sakura mochi: savory-sweet pink-tinged rice dumplings filled with anko (bean paste) and wrapped in salty preserved sakura leaves. Spring vegetables and foods such as wild ferns, grilled salmon and green yomogimochi (spring herb dumplings) are also commonly found. But you don't have to live in Japan to make a hanami bento. You can easily make one at home, wherever you live, by using spring ingredients and making sure you have an abundance of warm colors in your box. Be creative and use what is local, whether it's asparagus, spring mix, fiddleheads ferns, or rainbow trout. All fresh and local produce fits the bill. Some traditional hanami staples are not really seasonal or rare, but happen to be tasty accompaniments to beer and sake (the drinks of choice during the parties). 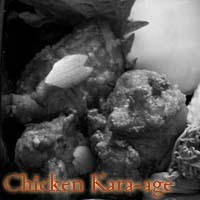 An example is chicken karaage (Japanese fried chicken). Just like Western fried chicken, karaage is delicious when served piping-hot, but is almost as good at room temperature or even cold. The bento pictured here includes shrimp and sakuradai sushi fashioned into small round balls, or temari sushi, as it is called in Kyoto; simmered daikon and carrots; kabocha simmered in sweet sake; ferns simmered in sweet soy sauce and dashi; grilled salmon; ikura (salmon roe)' chicken karaage and sakura mochi.